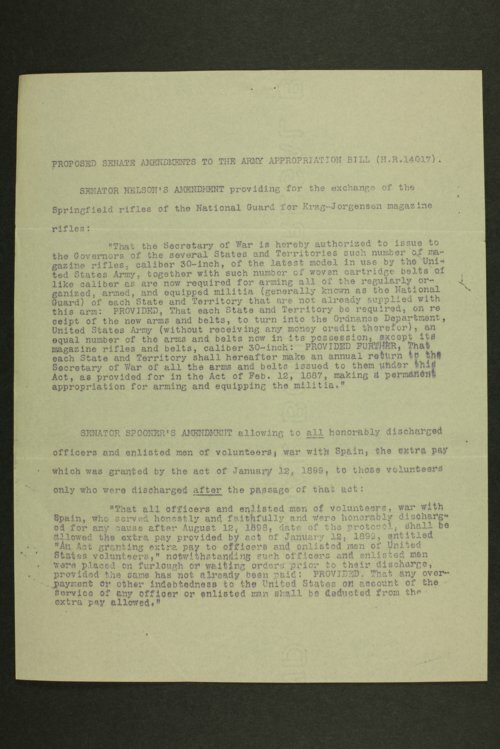 Correspondence sent and received by Kansas Adjutant General Simeon M. Fox. Topics include the discharge, enlistment, and resignations of national guard members. Includes a sketch of events of the Battle of Marilao River. Frequent correspondence was exchanged with George B. Donavin & Company regarding the supply of military goods from Columbus, Ohio, and Captain Andrew Hudson of Company M, First Regiment from Fredonia, Kansas.